With millions of followers on Instagram, Juniper the fox is the internet's cutest pet! Juniper's adorable snaggletooth smile and fun-loving personality are vibrantly captured in this heartwarming book. 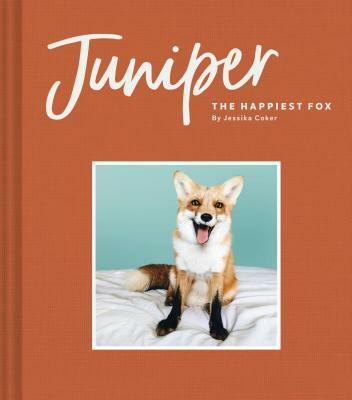 With gorgeous photos, a charming narrative about Juniper's life, and a behind-the-scenes look at what it's like to live with a fox, this book will capture the heart of any animal lover. Juniper's story chronicles her adoption and real-life Fox and the Hound relationship with a dog named Moose as well as the hilarious shenanigans she regularly gets herself into—including adapting to her new companion Fig, a younger fox who was rescued from a fur farm. Readers will also get a look at the thing Juniper is best known for: she paints with her paws! Juniper's paw paintings sell out instantly on her website, and readers will delight in learning more about her artistic adventures. With her signature grin, Juniper reminds us that there is always something to be happy about; you just have to know where to look. Jessika Coker is an artist, entrepreneur, and the owner of Juniper. She handles all of Juniper's social media, and is currently starting an animal sanctuary in the south. Juniper is a mixed media artist and a fox, who resides in the South with her human mom, Jessika, and several other animal friends. "Beautiful photographs of a pampered pet fox - an amazing tale."